OBSERVER Photo by Mary Heyl Big Tone rocked Liberty Food and Spirits on Friday night during Fredonia's Red, White & Blues Festival. 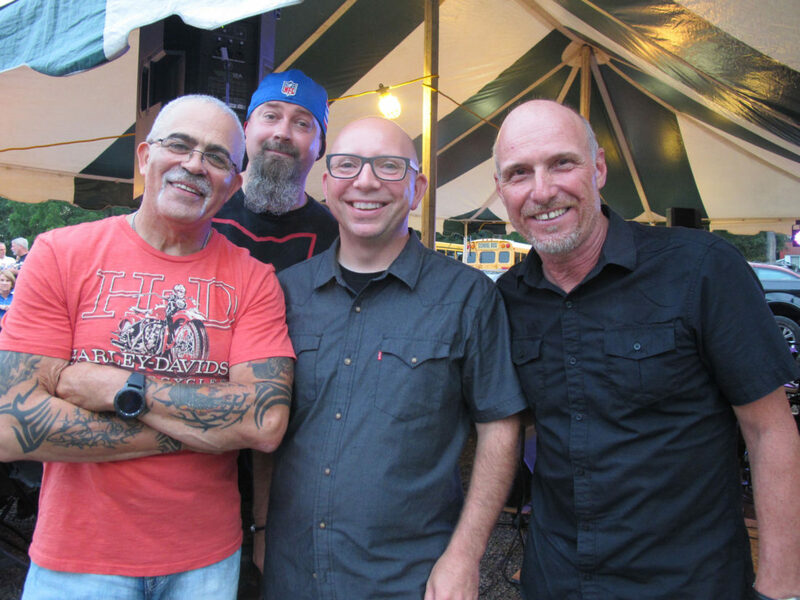 Pictured from left to right are band members Willie Fuentes, guitar and vocals; drummer Randy VanWey; Kevin Way, keyboard; and Keith Medley, guitar and vocals. Red, White & Blues continues all day today starting at 11 a.m. The main event is Miller and The Other Sinners at 3 p.m. in Barker Common. Big Tone rocked Liberty Food and Spirits on Friday night during Fredonia’s Red, White & Blues Festival. Pictured from left to right are band members Willie Fuentes, guitar and vocals; drummer Randy VanWey; Kevin Way, keyboard; and Keith Medley, guitar and vocals. Red, White & Blues continues all day today starting at 11 a.m. The main event is Miller and The Other Sinners at 3 p.m. in Barker Common.